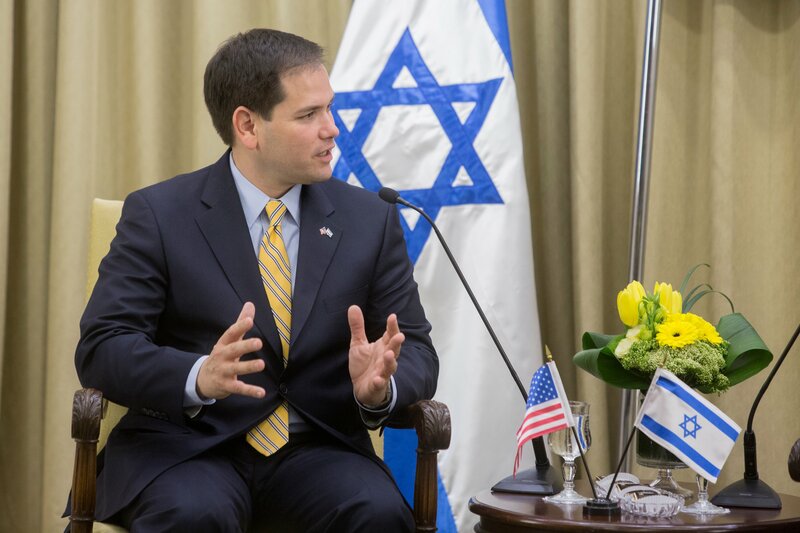 A representative for Republican Sen. Marco Rubio said Tuesday that the lawmaker is disturbed by Democratic Rep. Rashida Tlaib apparently associating with a pro-Hezbollah, anti-Israel activist. Abbas Hamideh, executive director and co-founder of Al-Awda, tweeted a photo of himself with Tlaib on Saturday, claiming that he was at her swearing-in ceremony two weeks ago and a private dinner afterwards. The photo features the two of them by a painting of Tlaib in front of the U.S. Capitol Building with an American flag as the background. Hamideh has repeatedly claimed on Twitter that Israel does not have a right to exist. He has also praised Hassan Nasrallah, the secretary general of Hezbollah — a group classified as a foreign terrorist organization by the U.S. and several other members of the international community. The extent of Hamideh and Tlaib’s relationship is unclear, but Hamideh posted another photo of the two of them back on Apr. 12, 2018. Tlaib is the first Palestinian-American woman member of Congress. She and Democratic Rep. Ilhan Omar, both of whom are freshman members of Congress, have stated their support of the Boycott, Divest and Sanction (BDS) movement, which calls for companies and groups to protest and penalize the state of Israel over their treatment of the Palestinian people. The official BDS website describes the movement as one trying to uphold “the simple principle that Palestinians are entitled to the same rights as the rest of humanity,” while others view it as anti-Semitic.